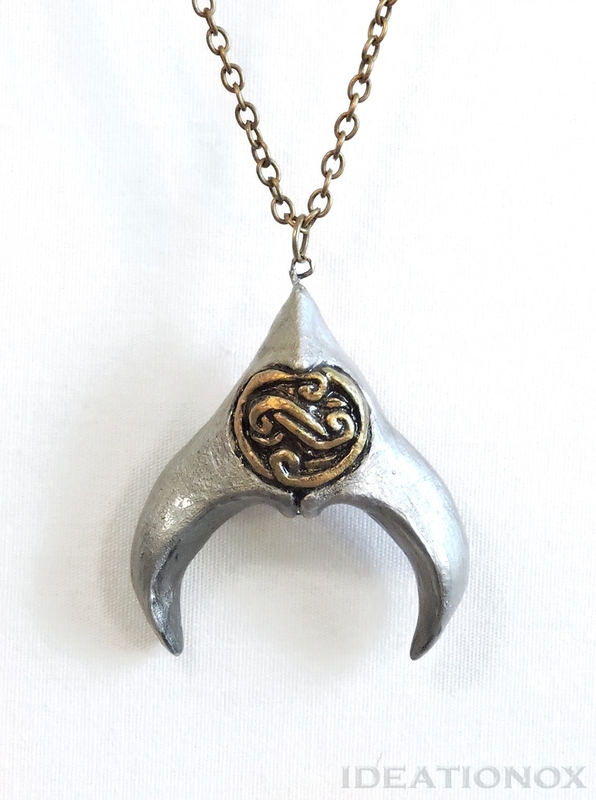 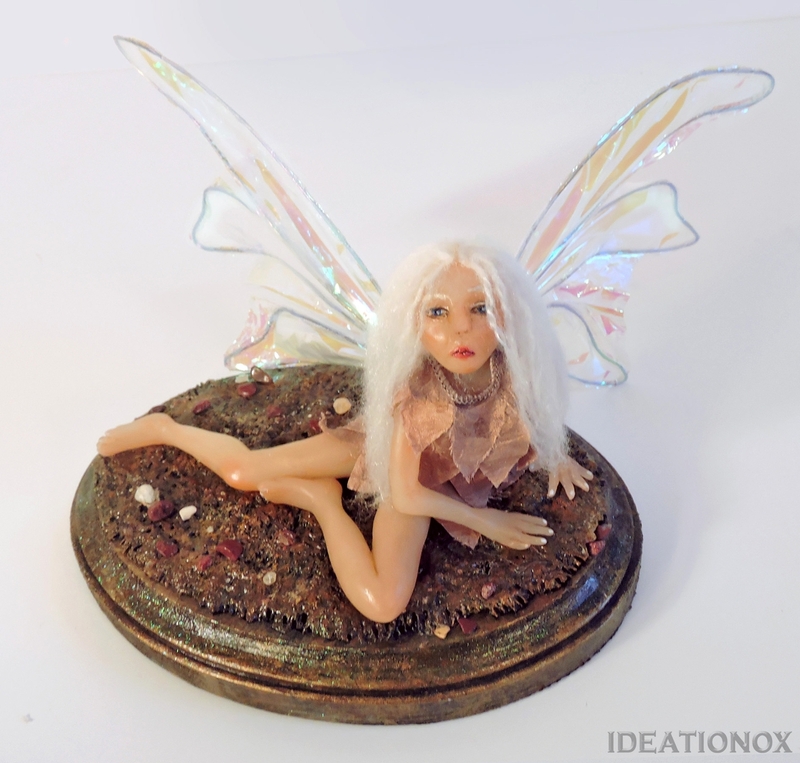 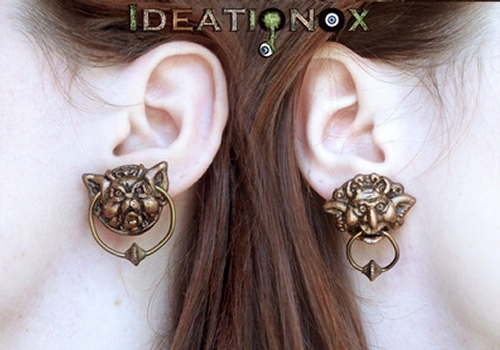 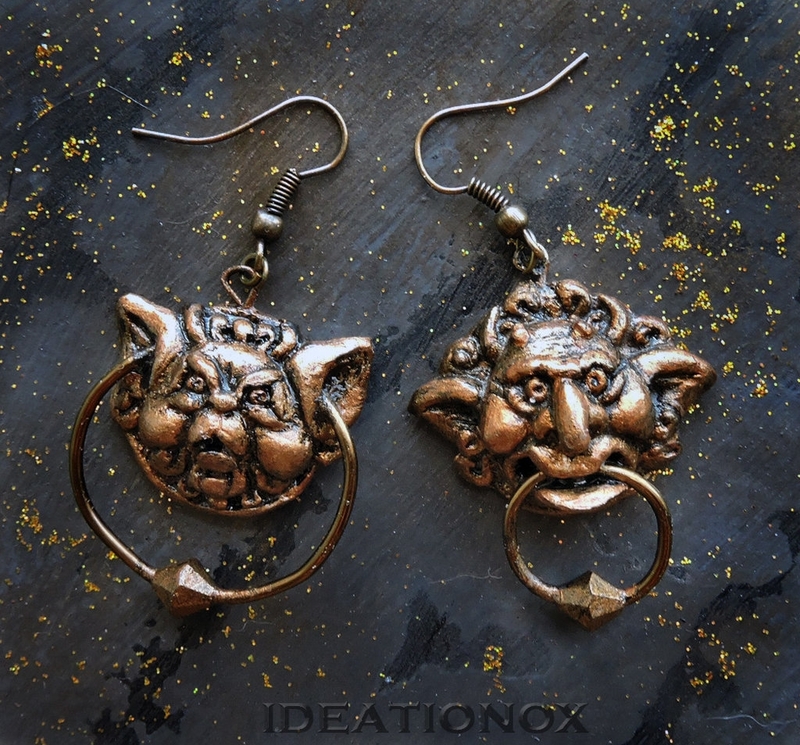 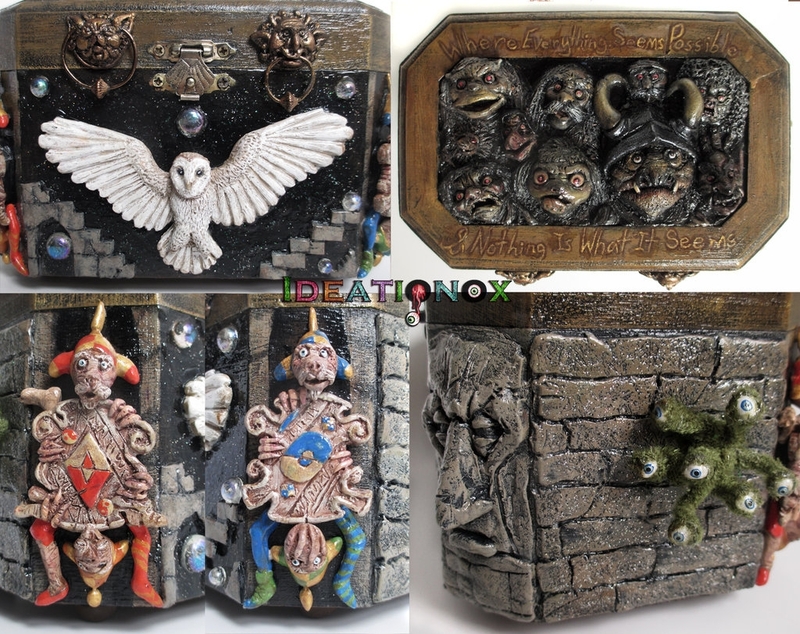 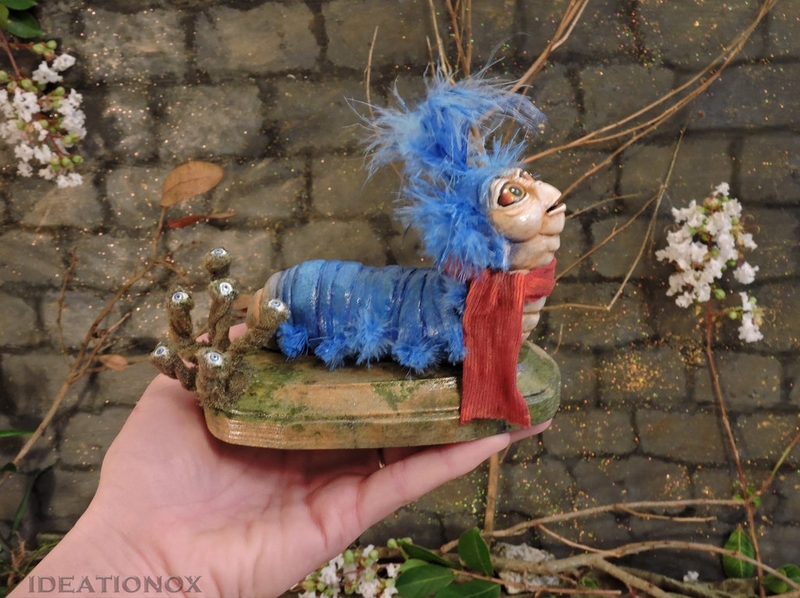 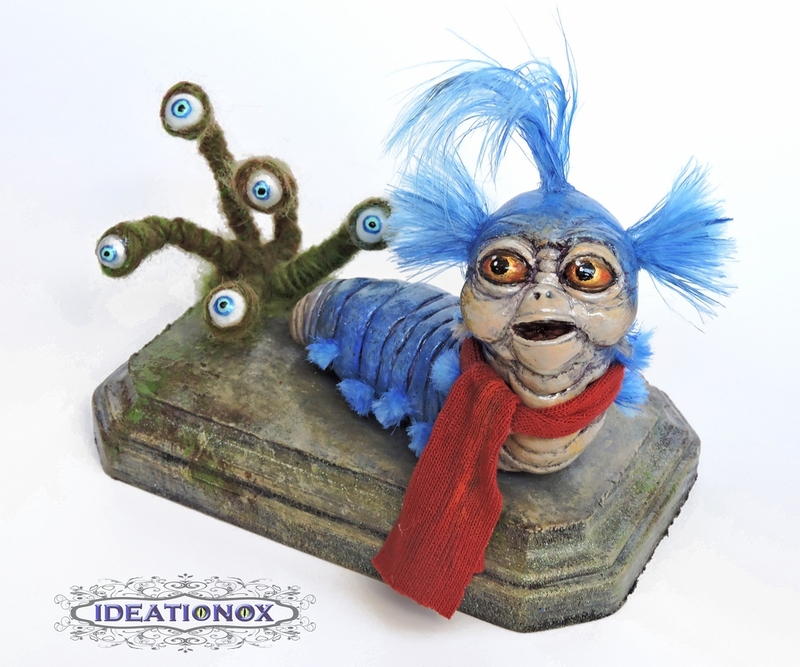 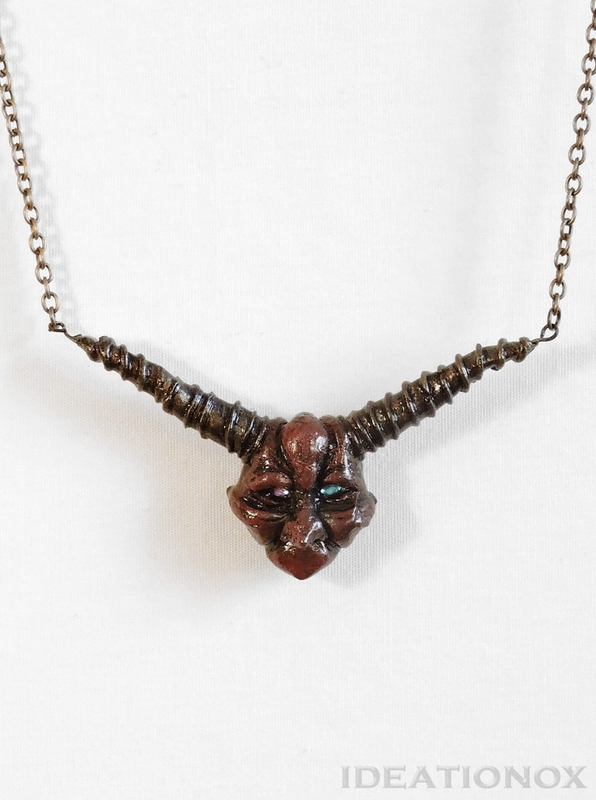 Self taught Artist / Sculptor Alyson Tabbitha and creator of IDEATIONOX, originally started with hand sculpted necklaces, but has now included fan art as well. 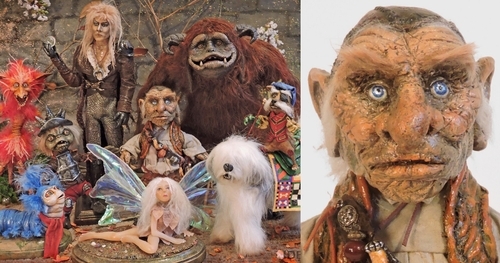 In today's post we are going to cover fan art Dolls Statues and Jewelry from the cult Labyrinth (1986). 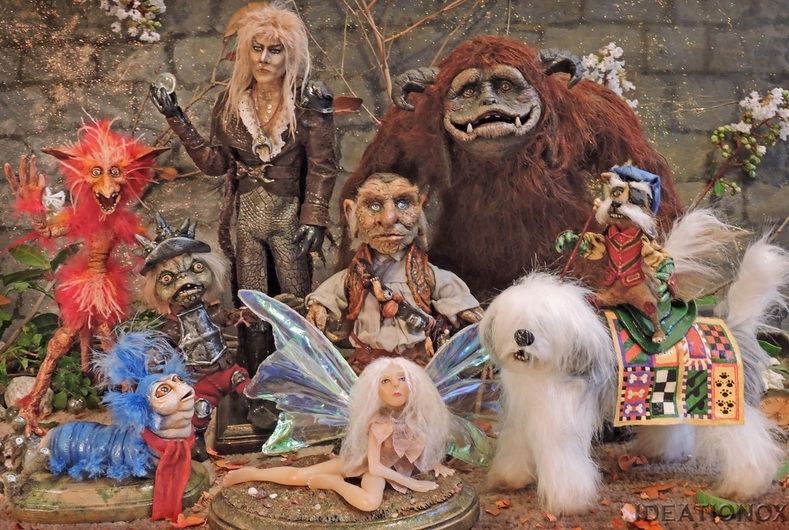 The main actors were, David Bowie, as Jareth the Goblin King and Jennifer Connelly as Sarah. 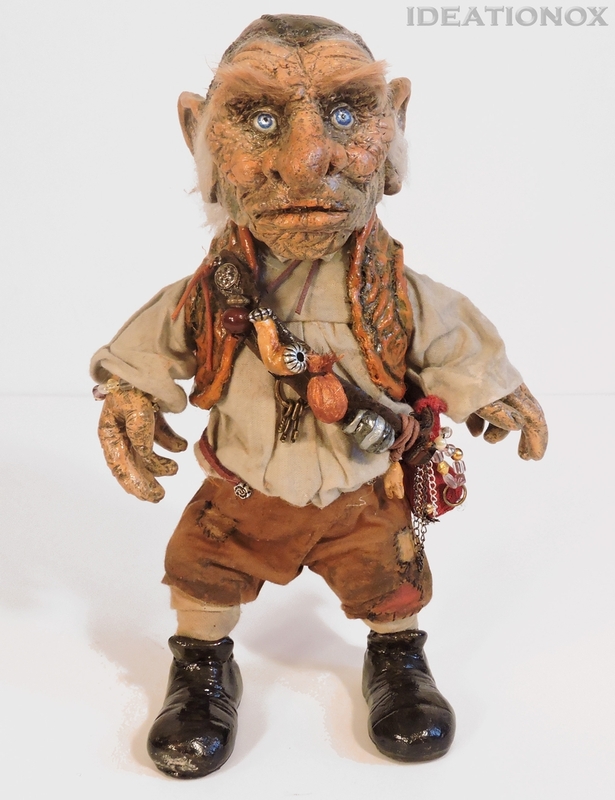 The film was popular, not only for the story and the scenery, but also for the innovative and ground breaking use of animatronics, mainly in the character Hoggle. 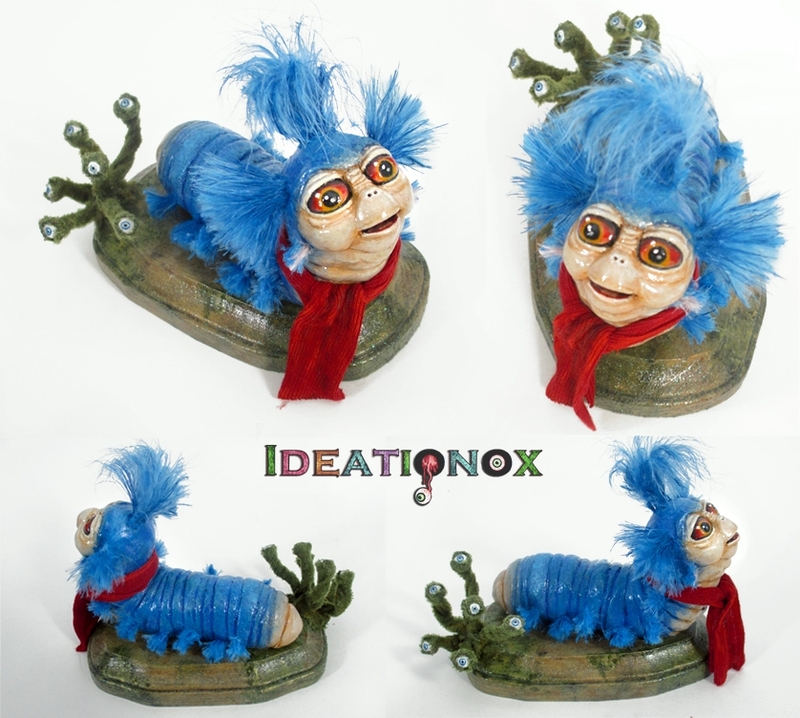 No moulds are used for the Dolls that are made from mixed materials, such as clay, sown fabric, faux fur, painted trinkets & details. 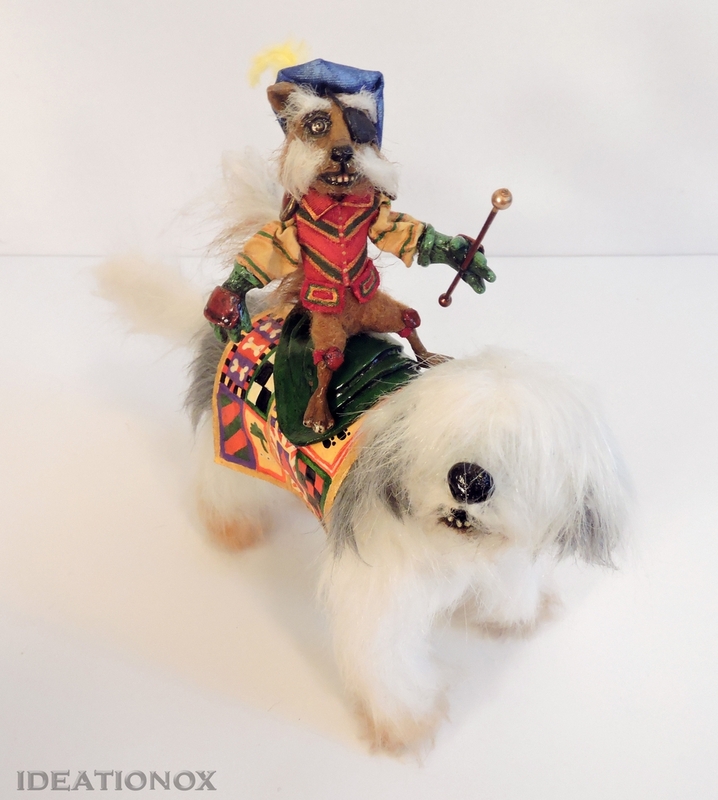 Enjoy this short travel to the past. 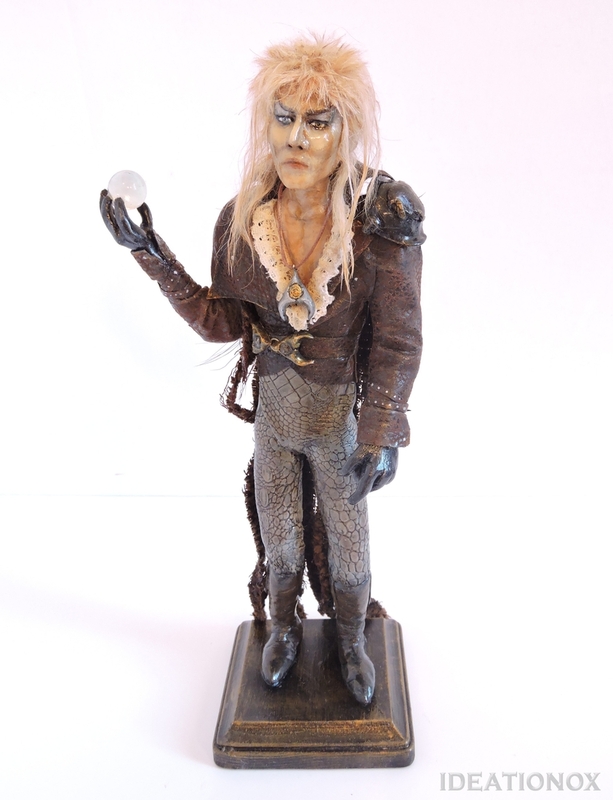 Jareth - Goblin King Statue - David Bowie. 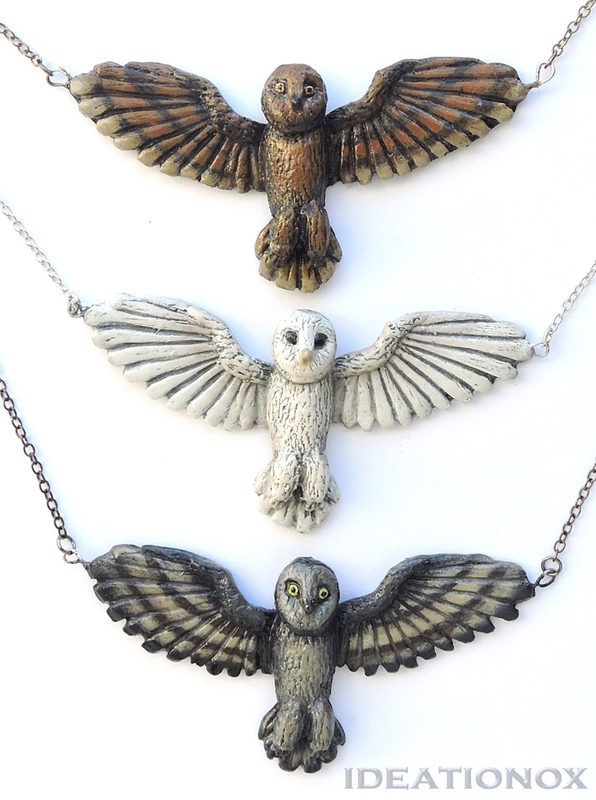 Chilly Down with the Wild Gang. 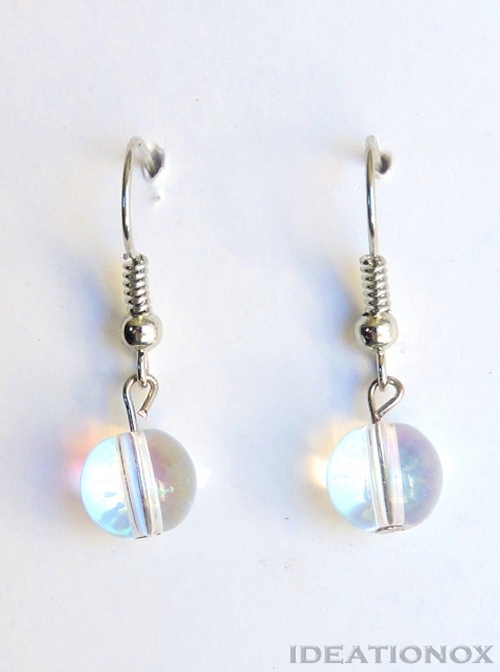 Crystal Ball Earrings. 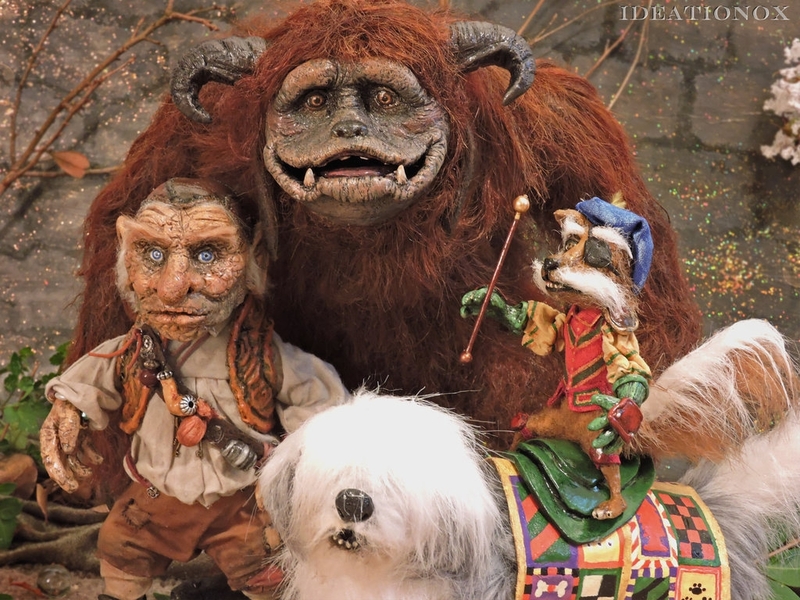 Remember the Crystal Ball hand floating trick? 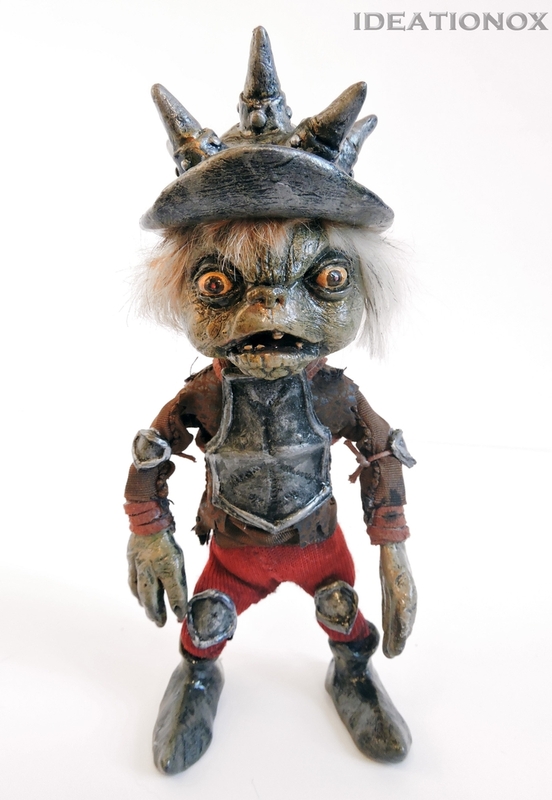 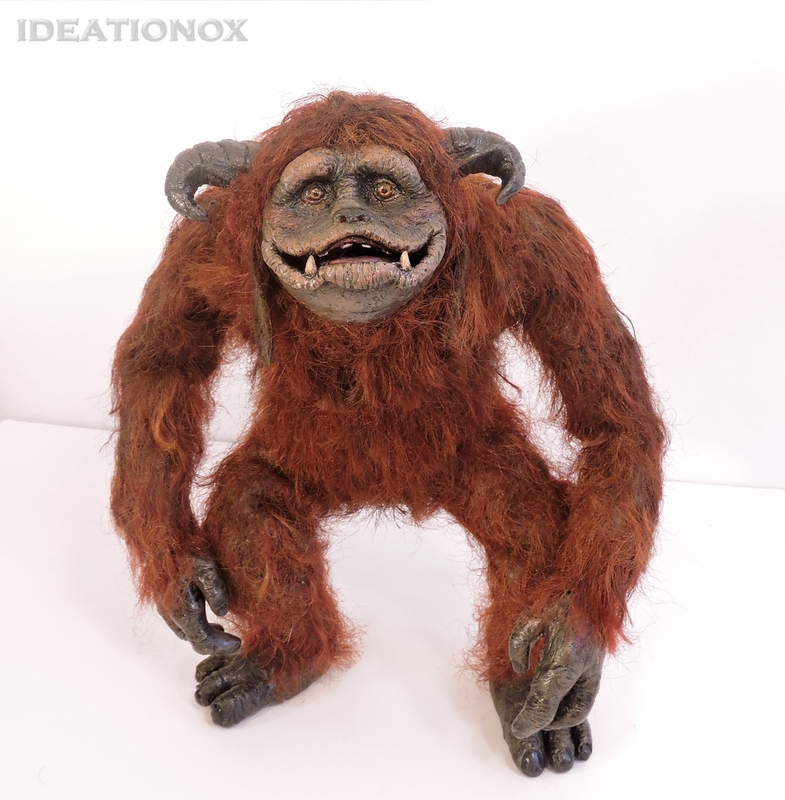 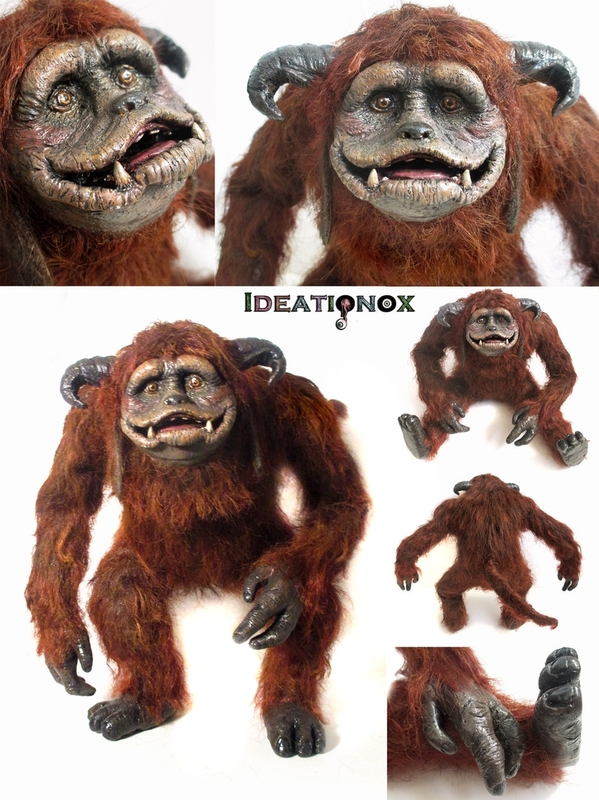 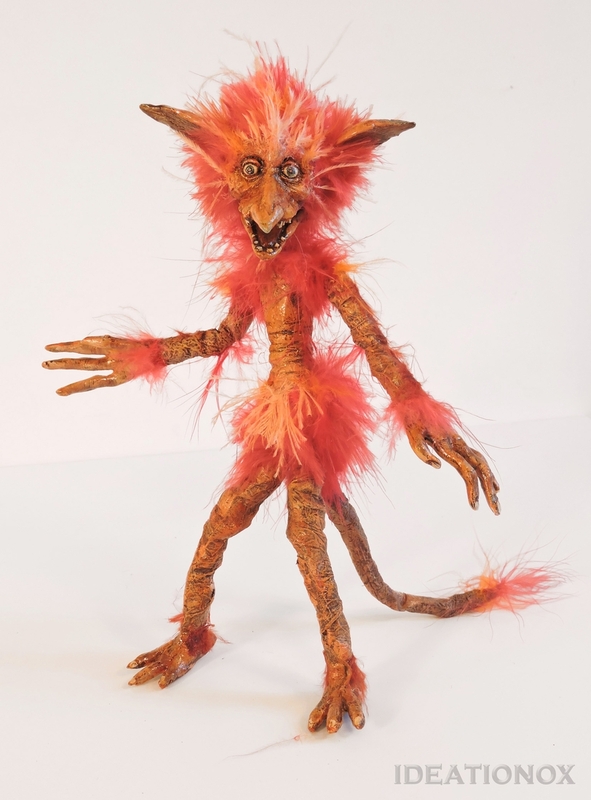 Ludo from Labyrinth - Poseable 2. 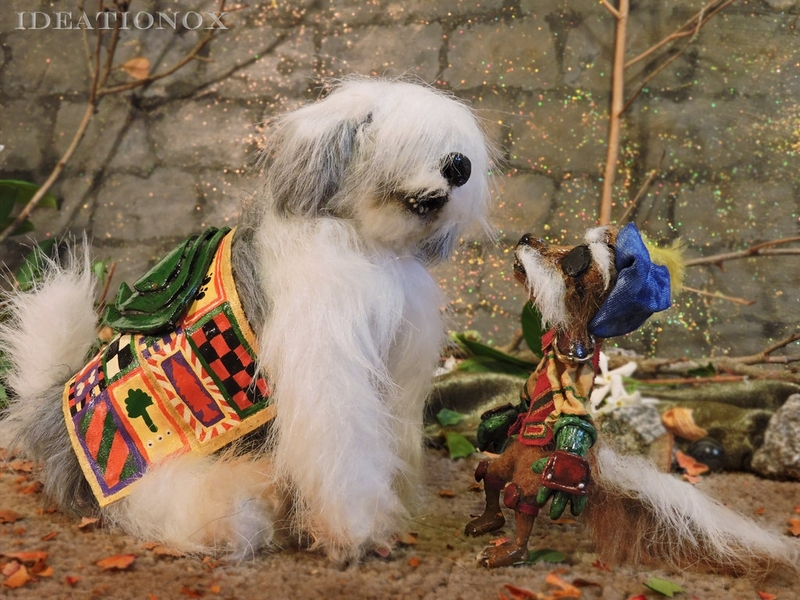 Sir Didymus & Ambrosius 2.